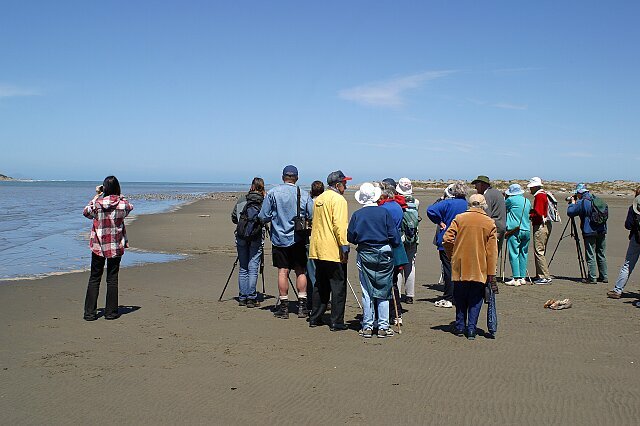 Today was the first of the hopefully annual “Welcome to the Birds” events run by the Manawatu Estuary Trust (MET) at Foxton Beach. The weather was glorious and attracted in excess of 75 people out to the estuary. Good for MET, this number included both radio and print media, so the main aim of publicising the Trust and the estuary seems to have been met (no pun). 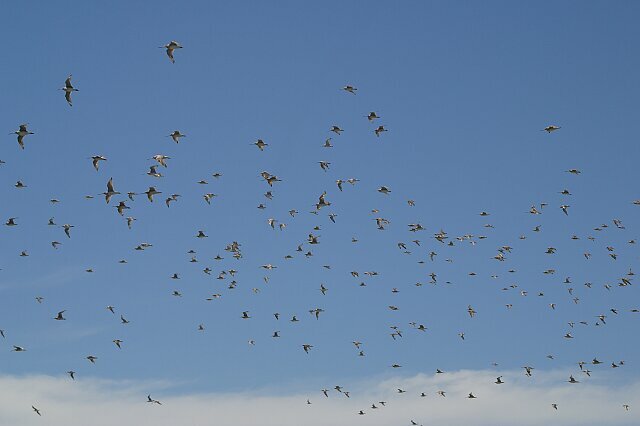 A good selection of waders turned up for the day, the curlew can be seen at the back on the left hand side. 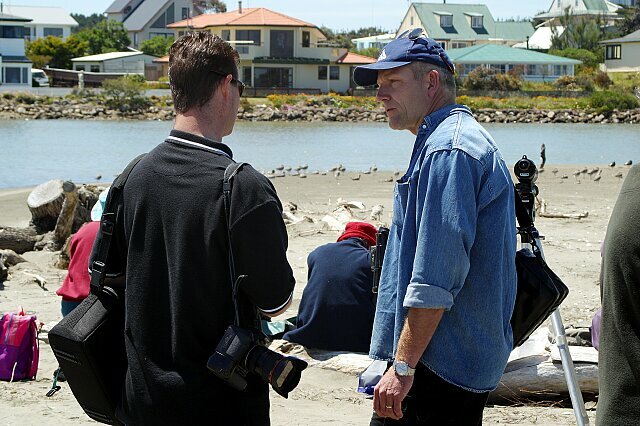 Sav being interviewed by a local reporter…. 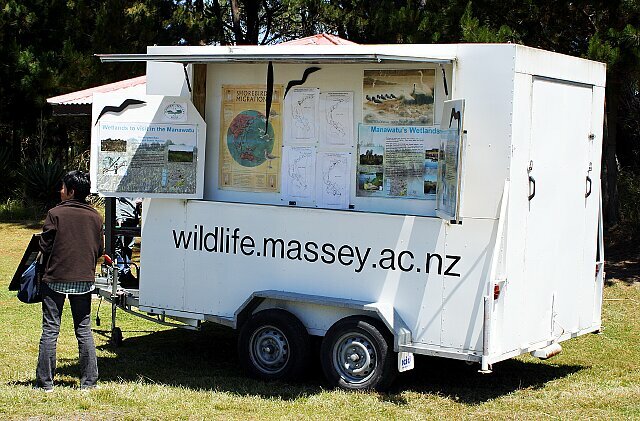 Display trailer set up with information on the Estuary and the Manawatu Estuary Trust.